Art & the Cosmic Connection - John Heasley (Driftless Stargazing) offers a terrific bridge between Earth and space science, making sense of images of planets, asteroids, comets and moons to inspire art. For Learners of all ages. The Painted Forest is a simple white frame building set on a hillside in the small community of Valton, Wisconsin. Its treasure lies inside—where the walls and ceiling are covered with intriguing visionary murals painted in the late 1890s by an itinerant self-taught German painter, Ernst Hüpeden. The village of Valton, in the northwest corner of Sauk County, was settled before the Civil War. A mill was built in 1857 which contributed to the village’s growth during the last half of the 19th century. After WWI, Valton gradually declined in population, as did many other small Wisconsin communities. The Depression followed and one business after another closed in the face of urban competition and rural poverty. Today Valton’s fame rests in being home to one of the oldest Quaker churches in Wisconsin and to the remarkable folk art treasure, The Painted Forest. In the early 1890's men of the Valton, WI, area community organized a "camp" or local unit of the Modern Woodmen of America. The M.W.A. was one of many fraternal societies that flourished throughout the United States at the turn of the 20th century. 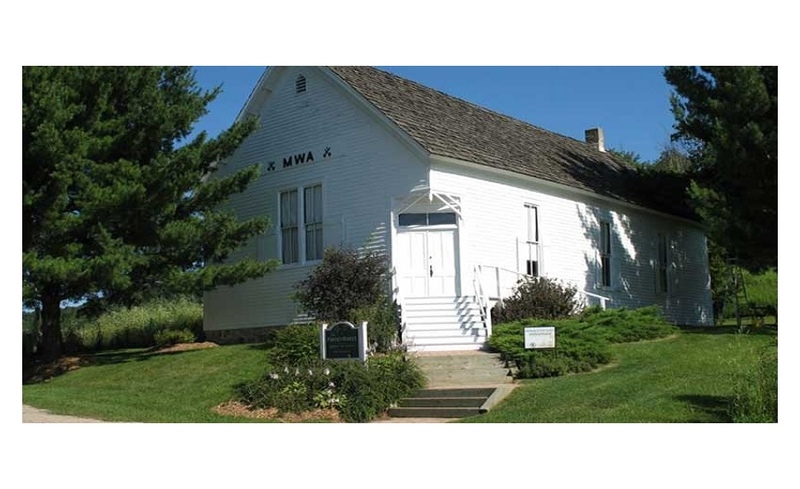 In 1897 German immigrant Ernest Hűpeden arrived in Valton, at the time the local chapter of the Modern Woodmen Association was nearing completion of their new meeting hall. While little is known about Hűpeden, it is known that he arrived in New York aboard a ship called The Herder in 1878 and walked and painted his way west. In the spring of 1898, he was commissioned to decorate the stage curtain for the M.W.A. lodge in exchange for room and board at the local hotel. The work impressed the charter members to such an extent that they further commissioned Hűpeden to continue his painting and adorn their walls with scenes depicting the M.W.A. 's initiation rites, fraternal activities, and shared ideals. In November of 1899 the work was finished. Hűpeden had literally covered every inch of wall space including the arched ceiling, window frames, wainscoting and curtains. The vivid imaginative scenes painted by Ernst Hüpeden recreate a remarkable vision of life, death, initiation rituals, and the aspirations of the Valton M.W.A camp members. Initiates into the M.W.A. were guaranteed both brotherhood and economic security for their families in the event of a member's death. the M.W.A. 's life insurance benefits to its members coincided with the beginnings of formalized insurance in America. Upon completing the murals, Hupeden left Valton on foot and continued his itinerant painter's career in western Wisconsin until his death. On December 8, 1911, the artist died and is buried in a pauper's grave near Richland Center, WI. Kohler Foundation is committed to the preservation of art environments and important collections, as well as Wisconsin culture and heritage. In the past, Kohler Foundation’s preservation efforts have been focused almost entirely in the state of Wisconsin. However, the Foundation has recently committed to expanding its preservation efforts nationwide. In some cases, artists have transformed their homes and/or their yards into powerful and unique works of art; some have built chapels and grottos, while others created literally hundreds of life-size or over-life-size sculptures and murals that cover entire buildings. Kohler Foundation has initiated and completed many major restorations, among them: The Painted Forest at Valton, Wisconsin; Wisconsin Concrete Park at Phillips, Wisconsin; Mecikalski Stovewood Building at Jennings, Wisconsin; Paul and Matilda Wegner Grotto at Cataract, Wisconsin; Prairie Moon Sculpture Garden and Museum at Cochrane, Wisconsin; and, Nick Engelbert’s Grandview in Hollandale, Wisconsin. Kohler Foundation's most recent site preservation projects include the Garden of Eden sculpture park in Lucas, Kansas, and the Hartman Rock Garden in Springfield, Ohio. Many of our Wisconsin sites are included in Wandering Wisconsin, a map of art environments in the state. 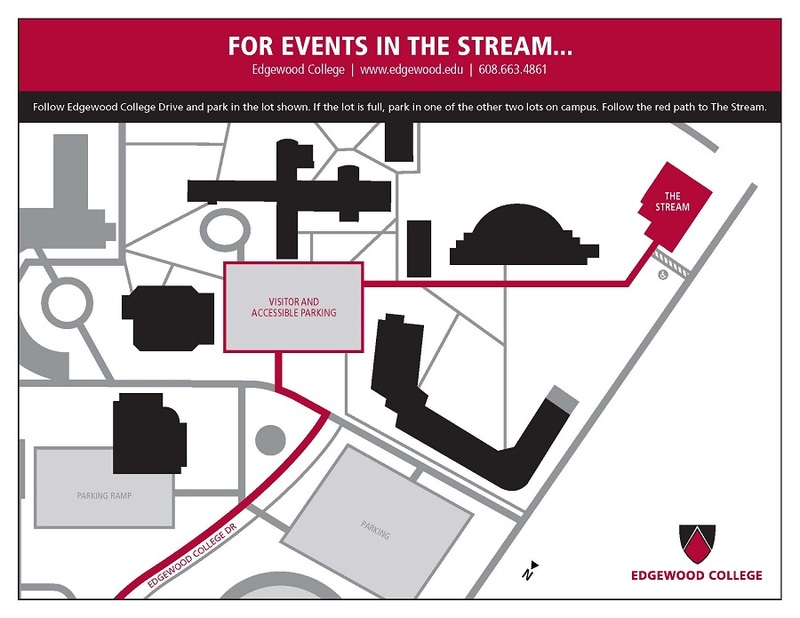 The arts have long played an important role in the educational traditions of Edgewood College. 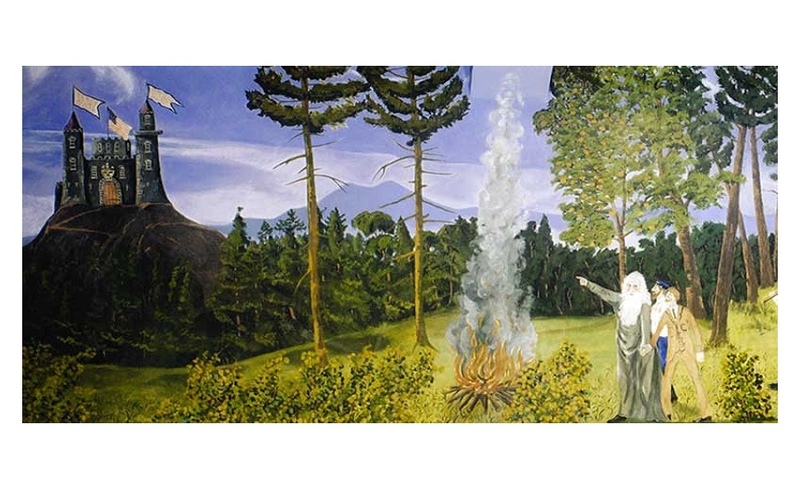 In October 2004, the Kohler Foundation gifted the Painted Forest to Edgewood College of Madison, Wisconsin. As stewards of this important folk art treasure, the College has pledged to maintain the site and foster its role in educating students, artists, researchers and the general public. The Edgewood College Art Studio and Study Center was constructed in Valton by the Kohler Foundation, Inc. The Study Center provides space for interdisciplinary workshops, lectures, seminars, retreats, performances and artist residencies. The College's advocacy for partnership and respect for the natural environment promises that its presence in the Valton community and the Upper Baraboo River country will be that of a "good neighbor" for years to come. In the early 1890's men of the Valton, WI, area community organized a "camp" or local unit of the Modern Woodmen of America. The M.W.A. was one of many fraternal societies that flourished throughout the United States at the turn of the 20th century. In 1897 German immigrant Ernest Hűpeden arrived in Valton, at the time the local chapter of the Modern Woodmen Association was nearing completion of their new meeting hall. While little is known about Hűpeden, it is known that he arrived in New York aboard a ship called The Herder in 1878 and walked and painted his way west. In the spring of 1898, he was commissioned to decorate the stage curtain for the M.W.A. lodge in exchange for room and board at the local hotel. 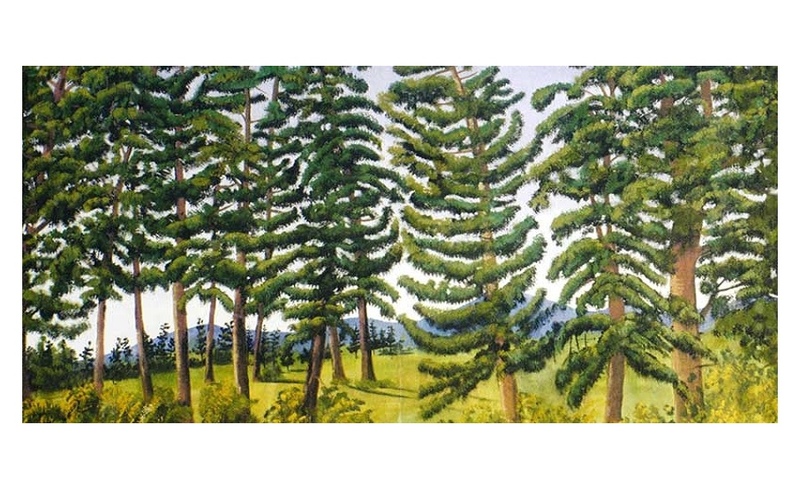 The work impressed the charter members to such an extent that they further commissioned Hűpeden to continue his painting and adorn their walls with scenes depicting the M.W.A. 's initiation rites, fraternal activities, and shared ideals. In November of 1899 the work was finished. Hűpeden had literally covered every inch of wall space including the arched ceiling, window frames, wainscoting and curtains. The vivid imaginative scenes painted by Ernst Hüpeden recreate a remarkable visionof life, death, initiation rituals, and the aspirations of the Valton M.W.A camp members. Initiates into the M.W.A. were guaranteed both brotherhood and economic security for their families in the event of a member's death. the M.W.A. 's life insurance benefits to its members coincided with the beginnings of formalized insurance in America. 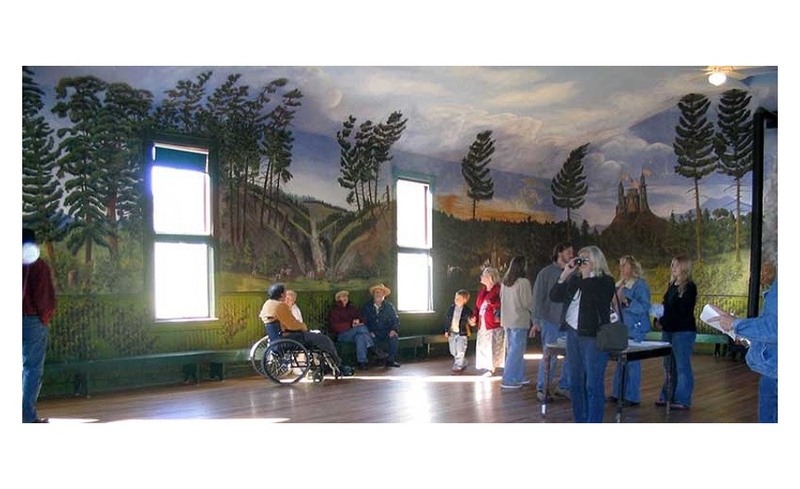 Upon completing the murals, Hupeden left Valton on foot and continued his itinerant painter's career in western Wisconsin until his death. On December 8, 1911, the artist died and is buried in a pauper's grave near Richland Center, WI.